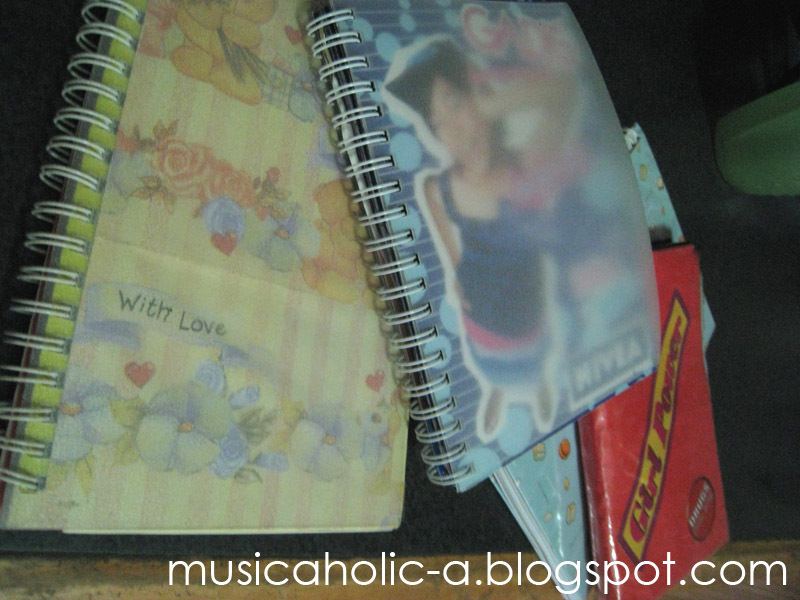 Those were my diaries from 2001-2006. I was a regular diary writer last time, since I was a little girl. 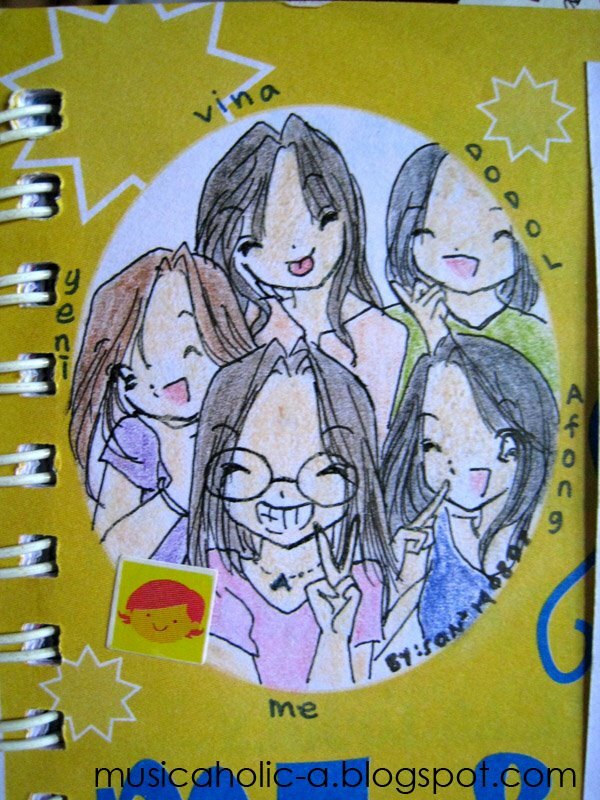 I first started to wrote a diary when I was in the 1st year of Primary school. After that, I kinda stop writing, then when I was in Junior High. 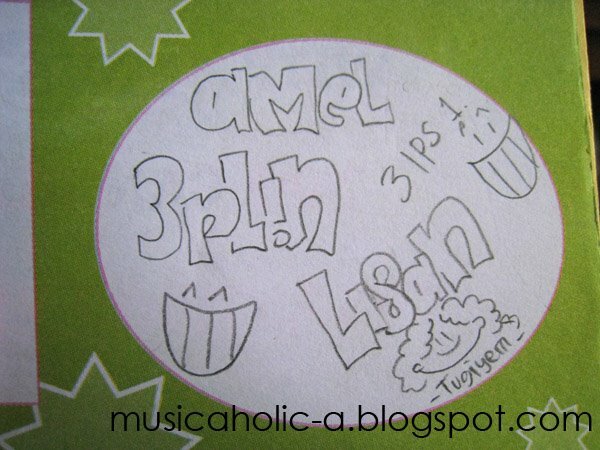 I am not doing it anymore after I graduated from Junior High (if I am not mistaken la). 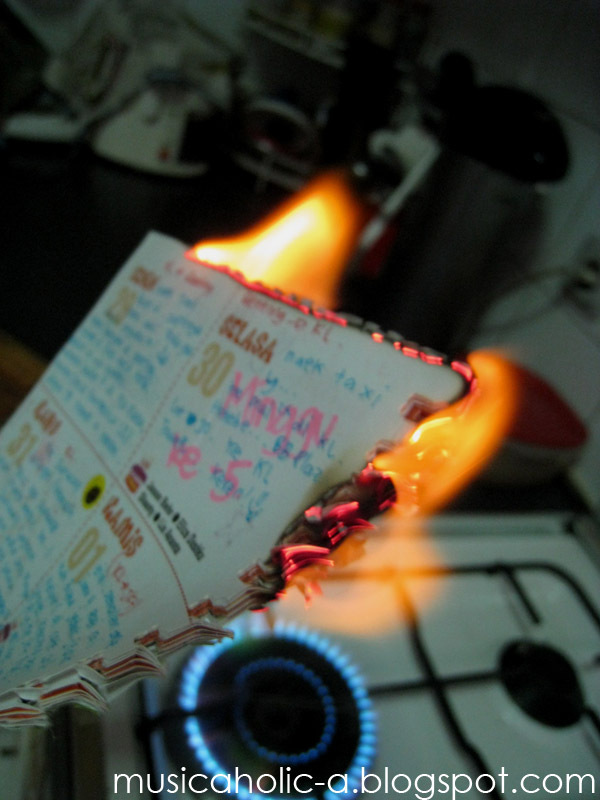 While I was doing spring cleaning, I collected these diaries (which worked as my daily planner too) and decided to burn them. Cos if I threw them just like that, there is still possibilities people might go and read it.Paiseh le! Ok la, I didn’t burn them all. It’s so mafan, you know. 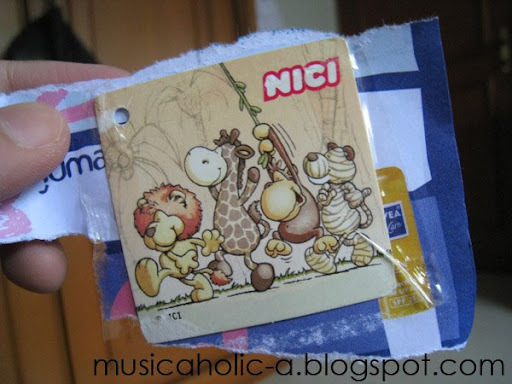 First I tried to burn some pages from one of the diaries (the one in the photo shown above), ya la it was easy, but it was so messy! The black left overs was flying around and made a mess on the kitchen floor and on the stove. So I tore the pages instead. Not one by one la of course. If like that, I will die of boredom beforehand. 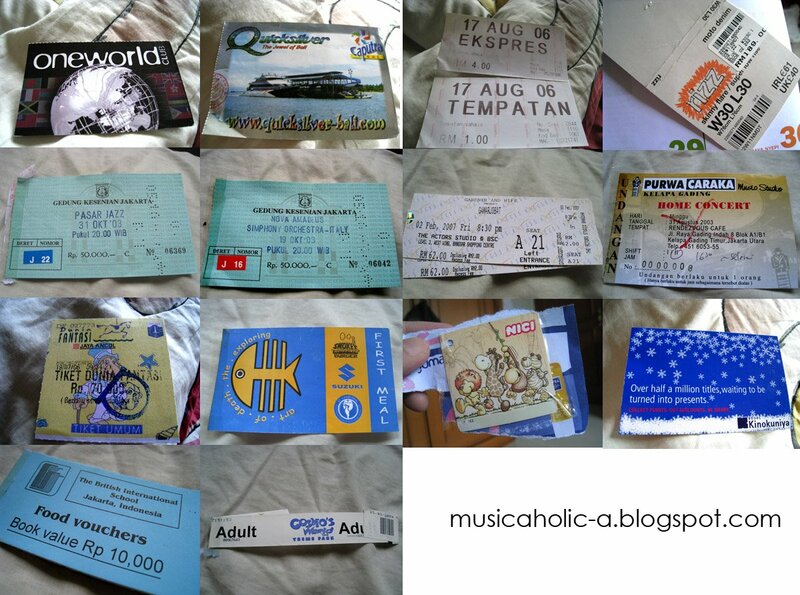 While tearing the pages off, I found some old stuffs inside that bring back the memories. They may not interest you, so you may as well point your mouse to the up right and click on the red cross button. 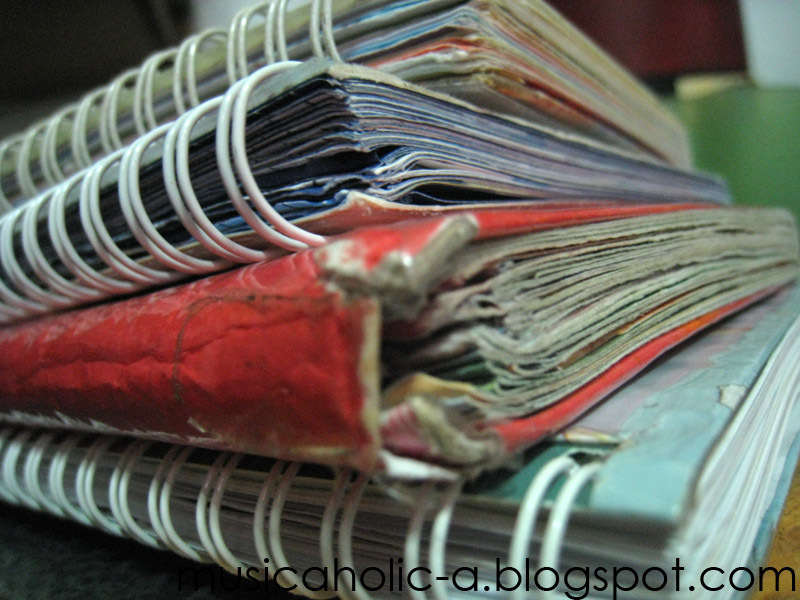 When I was in High School, my diary was like an all-in-one book. There, I wrote the upcoming tests, school homeworks, rants, and nonsense stuffs. I even paste photos and pictures there. My agenda (I use vocab other than ‘diary’, ok?) was also the place for me to write my tests’ scores. 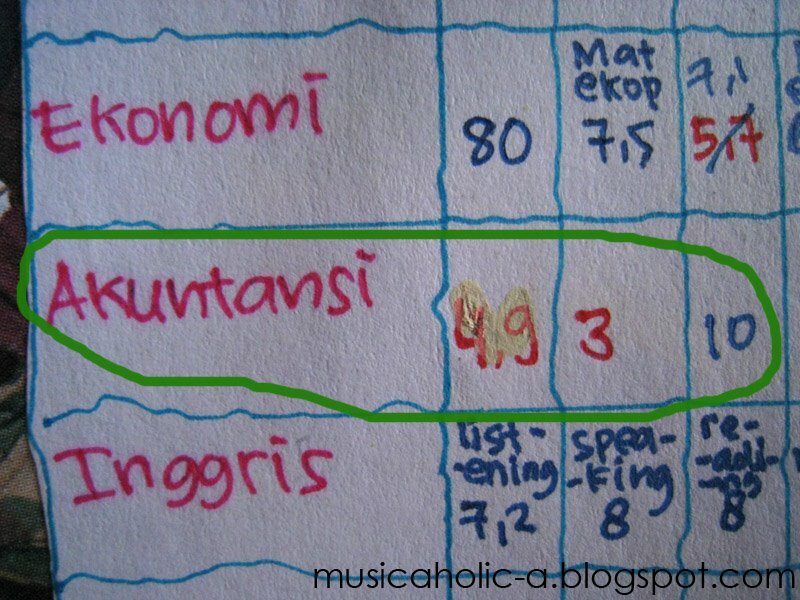 That was my accounting tests’ score. I got 4.9 for the 1st one, 3 on the 2nd one, and a perfect score of 10 on the 3rd one. Am I just smart or what? Magic. I (we) look so ridiculous. Should I show you guys? Yes I know I have a weird fetish other than shoes. Oi, you seriously still read this ka? After this I am gonna explain one by one about those stuffs. Are you sure you still wanna read it? Boring le. Ok la, you are hard-headed. But don’t blame me if you die from high level of boredom. 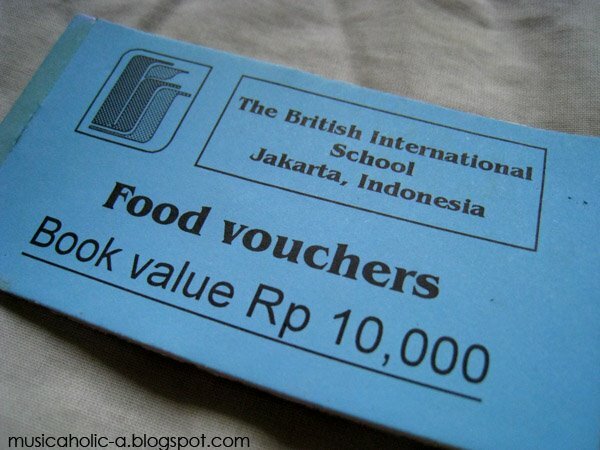 As what it says, this is a food vouchers’ book from the British International School (BIS), Jakarta. My parents and I together with some close family’s friends (erm..can be said our outing gang because we often went for outings last time, i.e: trekking, hiking, bird watching, jogging, etc. Basically sports and art) went for the BIS annual charity road race. 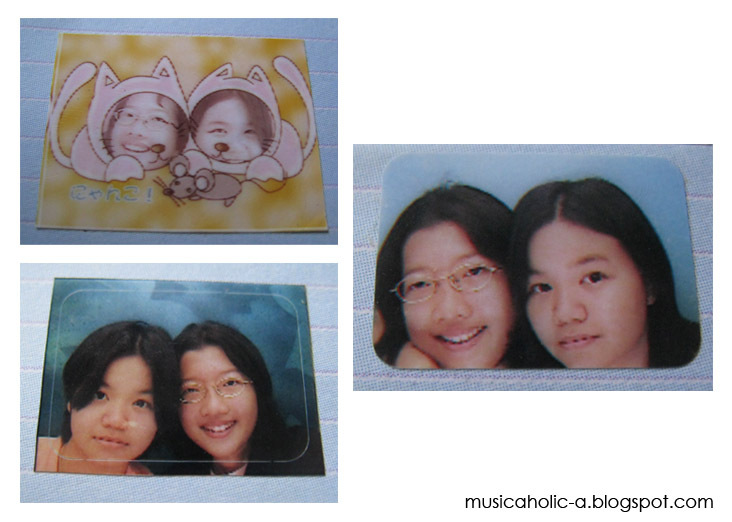 We went there for the consecutive 2 years if I am not mistaken (2003 and 2004). It was basically a running race and the money went to charity. I wonder if they still held it now. I love jazz! I remember going to this ‘Pasar Jazz (Jazz Market)’ and felt so bored in the middle of the show because of this couple who played sooooooooooooooooooo slowwwwwwwwww jazz music that my friends fell asleep. Not just them, I saw a lot who fell asleep too. LOL. But aside from that, it was quite entertaining. That was when my love for jazz has just started to grew. 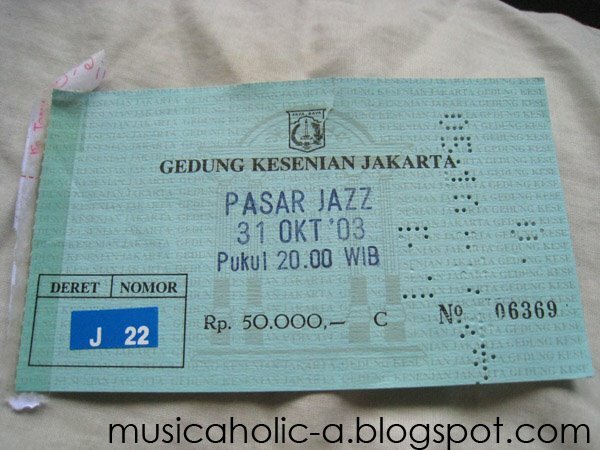 I just realized that this concert was just 12 days before the ‘Pasar Jazz’! 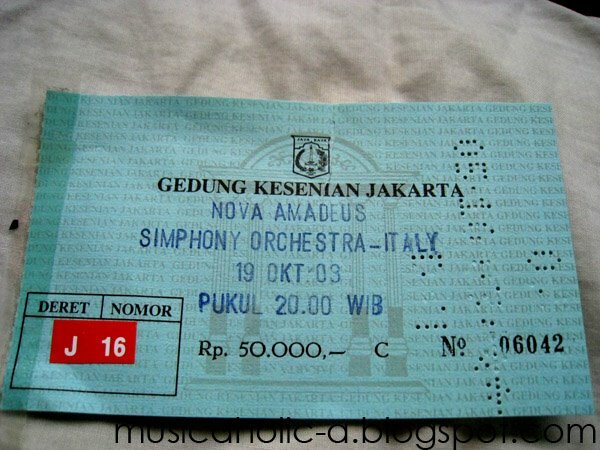 This time, it was a Symphony Orchestra from Nova Amadeus, a music school in Jakarta. My mum’s friend bought me the ticket because she knows I love music. So I went there with her and her 2 kids who are like my own brother and sister (both are younger than me). 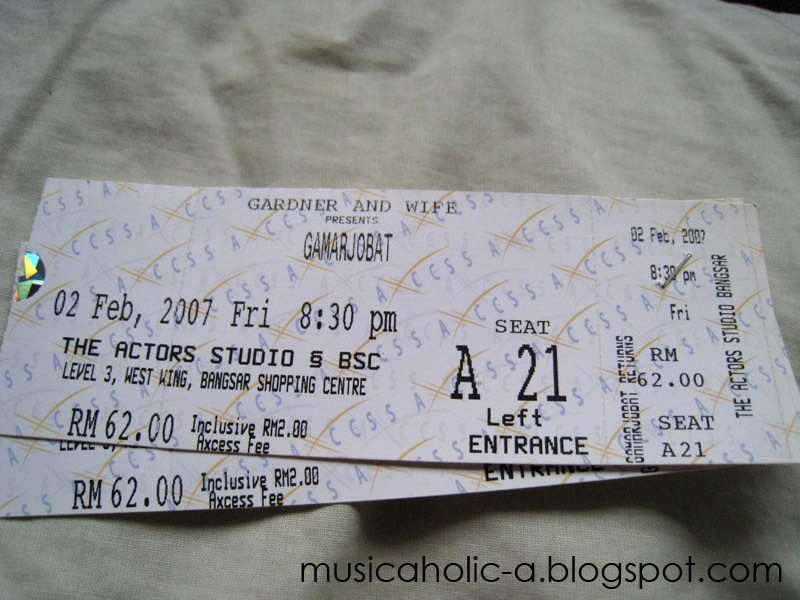 We went to watch Gamarjobat, a comedy show, and we didn’t regret, even a bit. It was super funny and entertaining and we laughed our tummies off from the start till the end of the show. Hahaha. Every year my high school (which is my junior high school as well, in case you’re wondering – which I think you’re not) held a sports competition and art exhibition (2 in 1), and it keeps on getting better each year. 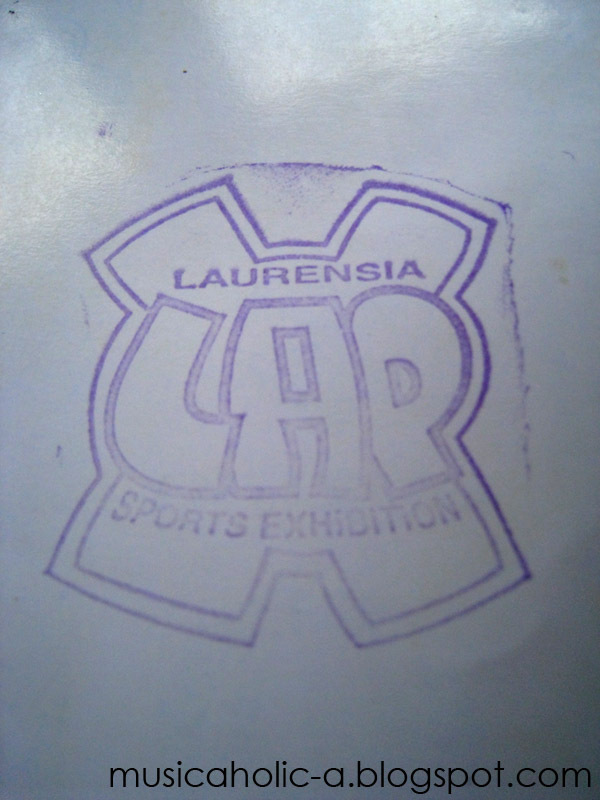 I once got invited by my friend to the 2006 one, and when I saw the poster, I was like…’Wow, Laurensia can arrange such an event’ . They even invited some famous musicians to perform on stage. The first time we had it, it was far from what it is now. Oh well, time’s changed. 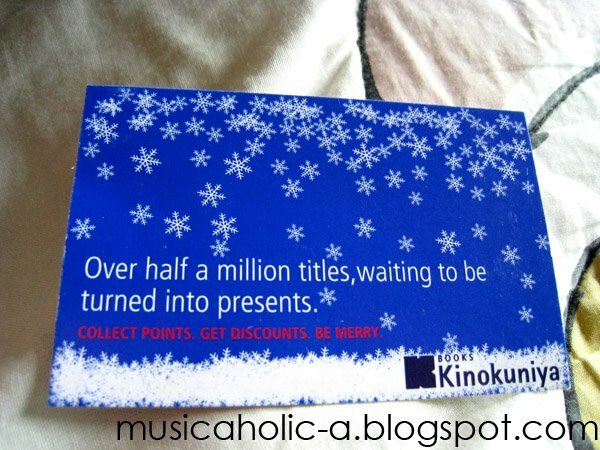 Kinokuniya’s Christmas discount card. 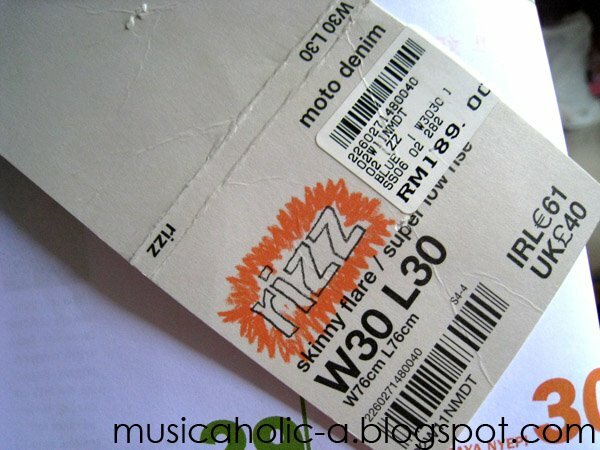 Buy RM50 worth of stuffs and you’ll get 1 stamp at the back. 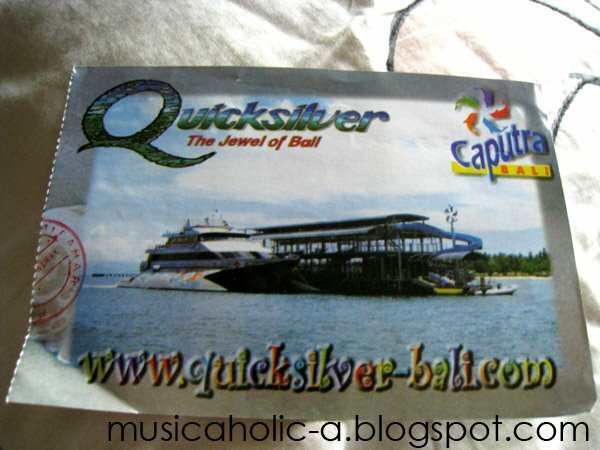 Collect 3 stamps and you’ll get discount. Hahaha I sound like some SPG. 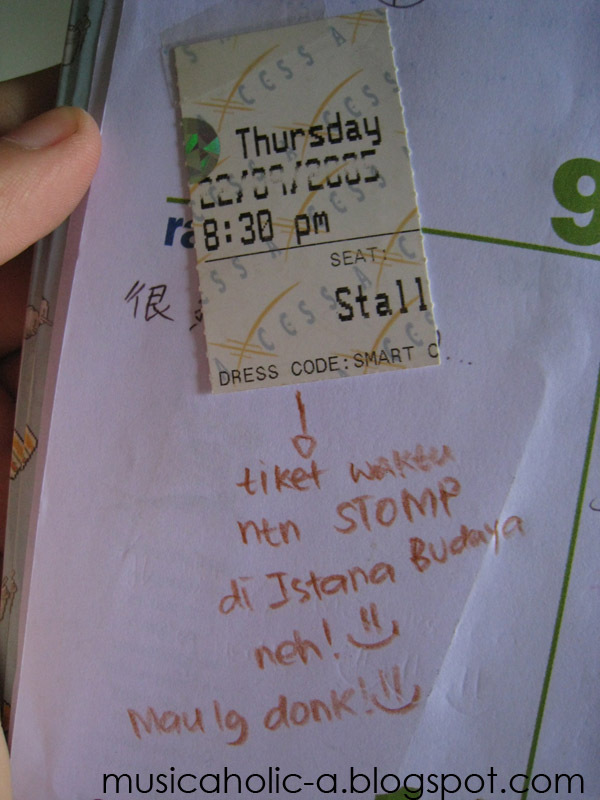 I sooooo love STOMP man! They are sooooo cool!! You don’t know what STOMP is? Go google! They are like the coolest art performance group ever! They are seriously sooo great! The way they combine the household appliances to make sounds and music, the way they move around in harmony, the way they crack the jokes using sound and music…just one word to describe it: COOL!! I straight away wanted to watch STOMP once I saw the poster in the newspaper. Angelica, another housemate of mine, wanted to go as well. So we went together to the Istana Budaya. The show was totally interesting and she liked it too! It was definitely worth every single cent we spent on the ticket. 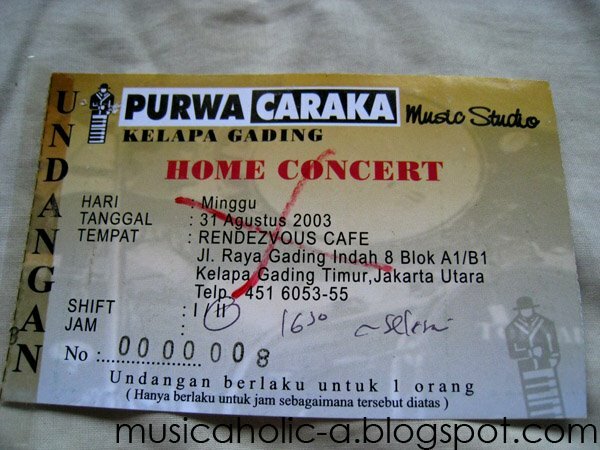 I think the ticket cost RM 200+ each. 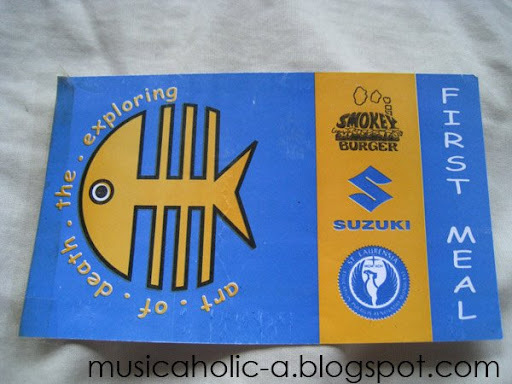 I remember it ended around 10:30 pm and we had Tom Yum before sitting on the monorail as the last passengers to KL sentral and took the KLIA transit to Putrajaya and asked our devoted taxi driver to fetch us there and sent us back to Puchong (we were still staying in Puchong back then). I wanna watch STOMP again! This will make you go “what the heck? !” again. Hahahahaha. 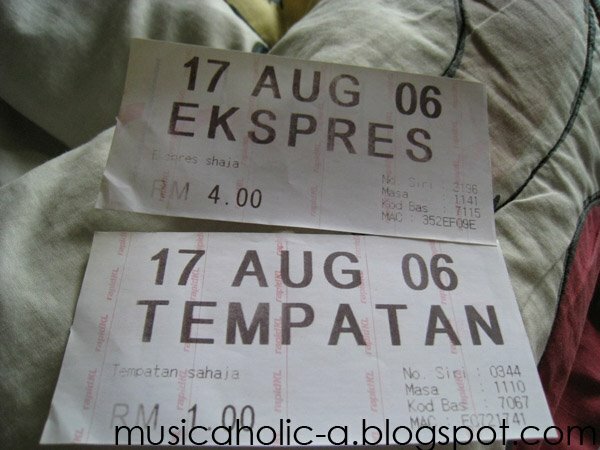 Those are Rapid KL’s bus tickets. Why I keep it, you asked. 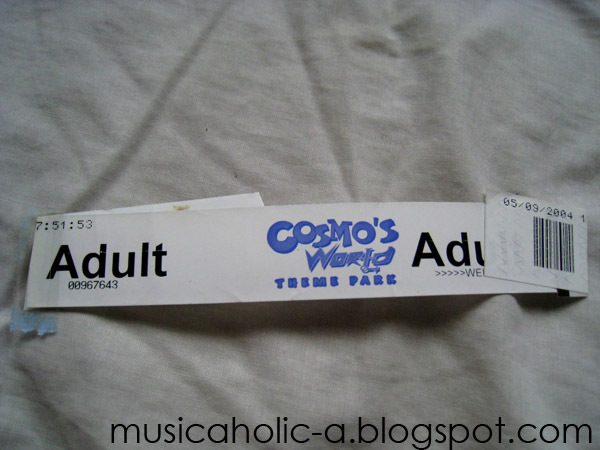 Simply because they are dated August 17th 2008. August 17th is Indonesia Independence Day! 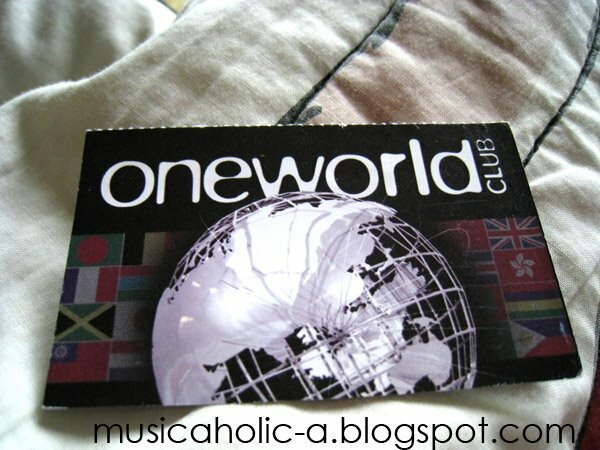 Oneworld club is an internal club of LUCT. This card allows us to get discount on food and beverages at Wings Coffee, LUCT’s own coffee shop. Nothing special other than that tho.